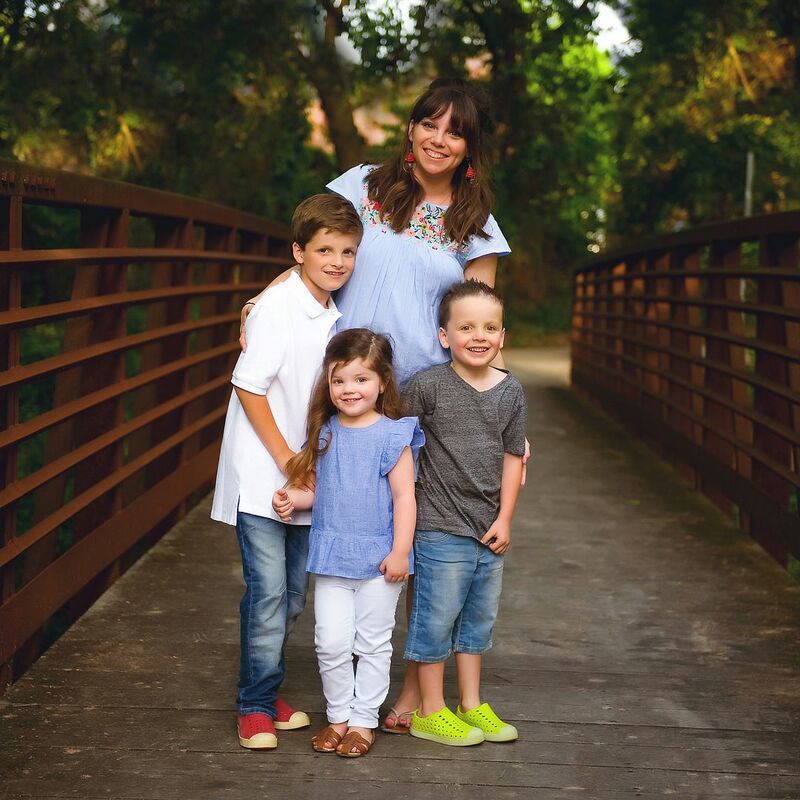 As usual Erika, Narci and I are linking up and sharing our Friday Favorites! I'd love it if you'd grab our graphic, link up and share yours as well. A couple of weeks ago the SWEETEST owner at Walls of Clay invited our crazy crew to come out and paint! Y'all know how much my kiddos love anything "artsy" and I wish you could have seen the looks on their faces when I picked them up from school and told them we were going to go paint! Their FAVORITE!!! And then picked what we wanted to paint and got to picking the colors! The girls at the shop can transform your kids handprints into SUPER CUTE mementos and we decided to make ours into Christmas trees. We pick our pieces up next week and I CAN'T WAIT to see how they transformed them!!! I have a couple of other handprint plates that my kids have made over the years and they're some of my most treasured possessions. Mason painted his name on the top of his truck and y'all.... it's so cute! We had THE BEST time and you can bet that we're going back over Christmas break. I'm thinking ahead for grandparents birthdays, Mother's Day and a few other occasions. Thank you SO MUCH to Walls of Clay for opening especially for us and treating us to such a fun afternoon! We can't WAIT to see our finished pieces and are looking forward to coming back in soon! The past several years we've had really pretty and simple white lights put up along our roofline. And every year our kids ask why we don't have any of the awesome inflatables that other people had ;) This year we decided to take the plunge and make their little dreams come true. The kids spied them too and were ECSTATIC!!! There was dancing and cheering and clapping. They're our new FAVORITE decoration which is good because I'm fairly certain you can see them from space. Lots of imaginative and cooperative play happening at our house this week. My FAVORITE. I've blogged about Lily Jade before (HERE and HERE) and they are by far my FAVORITE diaper bag brand. Yes... they're a diaper bag! Crazy, right??? They jut released a line of bags in a FABULOUS gray leather and I can't get enough! This is the Meggan bag in gray leather and you can wear it as a crossbody (how I typically carry it), a backpack or like a tote. I feel like I need to add that I had just grabbed the mail AND the bunny was in the van and I threw it in my bag so we weren't missing it at bedtime. Yes, friends... that's a full-size box of tissues because that pretty much sums up my week. Tissues, a pink bunny, a Star Wars guy, two notepads with Santa lists, my wallet, a cosmetics bag (that houses lip gloss and that's about it), nasal spray (again with the week! ), ice breakers, earrings, hair clips, socks (why??? I have no clue), pencils, Mucinex (seeing a theme here??? ), the boys gloves and more mail. Now... I don't carry all of that all the time. PROMISE!!! I've been toting a lot of stuff home from my classroom before break which is why a lot of this was in there. Also... look at this insert!!! I prefer the "big cavernous space" method for my bags, but if you're going to use it as a diaper bag how cool is it that you can organize the whole thing, insert it and then take it out when you're going to use a different bag!?!?! GENIUS!!! I ADORE Lily Jade and am so appreciative of the opportunity to review their fantastic bags! I've carried my others for years and they just get better with age! If I had to go back and do the whole diaper bag thing again I would totally invest in a Lily Jade because they last so long after you need a diaper bag! Lily Jade is a FAVORITE! We have a new FAVORITE game at our house! The kids received Yeti in my Spaghetti from one of Dave's co-workers and it's been a HIT! The game is simple and easy to set-up and perfect for all three (plus me!) to play. ... I'm thinking a family book club day may have to be in order! My dad stopped by last night and read the kids one of my FAVORITE books from growing up! After Thanksgiving break we were STRUGGLING to get everyone up and at 'em in the morning, so we've nixed electronics after dinner, bumped up bedtime by 30 minutes and have allowed some additional reading time. FAVORITE time of the day! So! There you go :) I'm excited to flip through y'all's FAVORITES this week as well! The snowmen are adorable and my kids would freak too!!! Happy Friday! I'll be thinking about you at 1:30!! Wahoo for a break! I don't even know where to start??? What your kids' painted is going to be PRECIOUS! I loved all of their choices so much! And I was dying over the snowman pics. So cute! girl! You totally need a 12 foot snowman trio :) TOTALLY!!! Thanks, girly! Next time we should go together! I am the same way with the cuties-so funny! And any handprint craft is a hit with me. I can't wait to see how they turn out next week! Loving the color of that bag. We are (just barely) passed the diaper bag phase but their bags are so beautiful I'm seriously tempted! Enjoy your break!! Exactly! Look for the glow and follow it to the giant snowmen :) Girl! I haven't needed a diaper bag in years but love it because it doesn't look like a diaper bag but I can still tote around a million capri suns, extra underwear and snacks and they're so durable and easy to clean! I love different blogs for different reasons. But I'm always struck at how you work so hard to create memorable experiences for your children. It's a beautiful thing to see. It is how God wired you to be. They will remember these things forever. That is possibly the sweetest comment ever! Thank you so much for that! I love that you got the inflatables, my kids would die too! Also, good to know on the Yeti in my Spaghetti, I keep seeing it and it looks so cute!!! Now I know it is :)! Happy Friday! Happy Friday before Christmas break! You made it:). So excited for you to get some time off, you are one hard working mama. Oh, and the cuties, I have to limit myself to one for breakfast and one for evening snack:). I love the color of that bag. 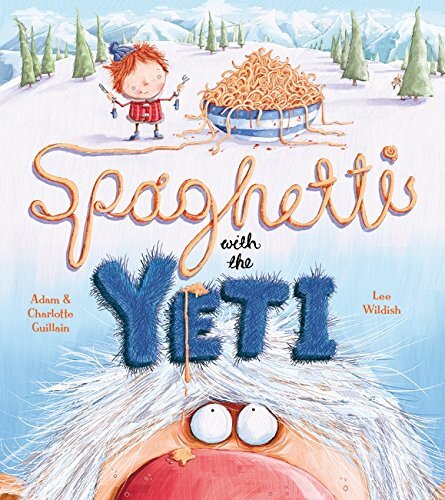 I also love the Yeti Spaghetti game, we are game players at our house and this is a favorite this time of year, also Don't Break the Ice. Have a wonderful weekend and YAY for Christmas Break. We still have a couple of days of school next week and I think I am literally going to have to scrape my students off the ceiling. Hahaha! ISn't the gray great??? I was skeptical about how much I would love it but I've been carrying it non-stop and love it with everything! We have don't break the ice as well, but the setup can be a pain!!! I love that the Yeti game is so easy to set up! Hope you get lots of game time over the next couple of weeks! We used to have a Clay Cafe here and I wish there was still one around. It would make such a fun winter outing! Mason's name written on the firetruck is precious, little kids writing their name is so cute. Thanks for hosting! My middle school students were telling me about the "Mandela effect" and how the Berenstain Bears have really always been spelled that way and not Berenstein Bears like we all think we remember from our youth, so your reading picture cracked me up! Oh I am totally getting that game and book! We love your book clubs...always a hit around here. Yeti is currently a fav over here! Merry Christmas! Your hair is always so cute! Tutorial for that cute half up thing you have going on? Pretty pretty please? I absolutely adore Lily Jade! I have had my eyes on the Meghan for forever! After having my second daughter, it's been on the top of my want list! Maybe someday! The contents of your bag always cracks me up! Luke's concentration face in the Harry Potter picture is the best! We just got Yeti in my Spaghetti too. The kids love it!